Our journey through life seems to begin somewhere and then it continues. If you remain in the same place you develop a sense of unity and feeling for the flow of things and the rich weave of time and events. But some of us go through life in a series of episodes with time and place being frozen in memory as we move and the time space continuum becomes somewhat fragile. My experience with Saskatchewan was not those years I lived in Langbank, Vandura and Kelso or even my first year working in Kipling for indeed that Southeast part of the province was part of the flow of things I mentioned above but in 1966 I went to work on the desert down at Bengough and would journey to and from the place along highway #13 through Weyburn and occasionally come up to Moose Jaw on highway #2. On Tuesday I made the trip down to Mossbank South of Moose Jaw to bid farewell to a friend and this story begins there. At the top of the page is a view looking South at the intersection that leads one into Mossbank and the hot (35ºC fields that afternoon as I headed back up highway #2 to Moose Jaw. The dry rolling country East of Old Wives Lake will almost for certain remain just as we see it in the picture above. Vast undulating fields and pastures almost entirely devoid of trees with its sand and gravel covered by a thin layer of soil. It was in this area that I once scrapped off the oil pan of my 1958 Pontiac while doing a little racing with prong horn antelope, they won doing 60MPH up hill across a field then leaping the rock pile that impaled the Pontiac. In the 1950s the sky above the South of Moose Jaw were filled with the roar of Pratt and Whitney engines as yellow North American Harvards (Americans call the AT-6 Texans) were the sky classrooms for Canadian military aviators. They were also accompanied in those years by a fleet of Beechcraft Expediters known in civilian aviation as Beech 18s. There is an excellent example on a pylon at the R.C.M.P. 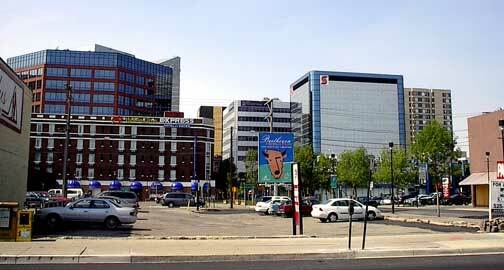 headquarters in Regina. In the 1960s the Harvards were retired and many found homes in Saskatchewan hangars for about $2,000 as they were replaced with the Canadair Tutors which still do their duty for the Canadian Snowbirds. At the Oshkosh EAA convention (Experiemental Aircraft Association) we saw number 2202 of that lot up for sale. The Tutors were great trainers capable of handling the thousands of hours needed to turn out a qualified jet pilot. Now the "Big-2" is called "15 Wing" and is the privately operated Bombardier NATO training base using the Hawk built in the United States under license and a turbo prop basic trainer dubbed the "Harvard" seen here on short final Tuesday afternoon. 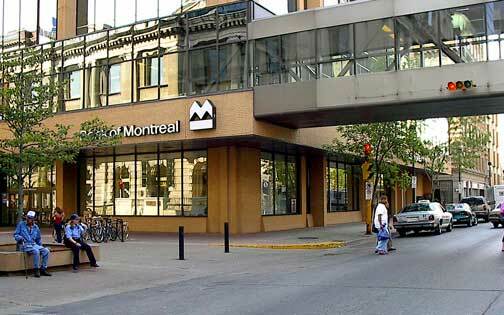 Moose Jaw is Saskatchewan's most beautiful City, oh there are people who will rave about the magnificence of Saskatoon but Moose Jaw is better and number two is Swift Current, Prince Albert in third place and Weyburn in fourth. What all of these communities have is quality of life and an attitude that makes them a place that their residence love. 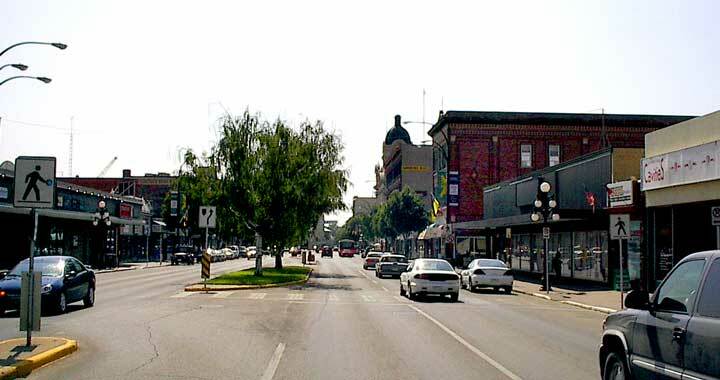 Moose Jaw's main street (above) is quaint and charming but all around the city there are hidden secret places of outstanding beauty that tell not only of appearance but the passion of the people for their home town and what they do there. 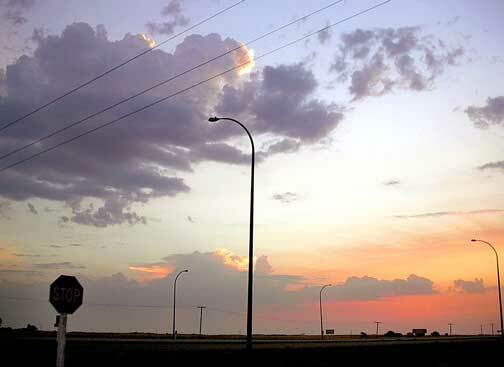 The mid point between Regina and Moose Jaw is a sort of industrial complex with two huge installations filling the horizon North of the TransCanada. The fertilizer plant on the left appears to be undergoing a major upgrade and the liquid potash mine known as Kalium continues to pump its waste onto a monstrous pile now two full square miles in size. The plan is that when the mine is eventually retired the tailings piles will be returned to their final resting place in the massive caverns beneath the prairie. There is no sign of the promised methanol plant which is slated to be constructed at Belle Plain for it appears to be stalled without capital to launch the undertaking. Prairie it is, with harvest in full swing throughout Saskatchewan the farm land between Regina and Moose Jaw is being cleared of this year's crop. This bright orange house caught my eye as it seemed to fit so nicely into the landscape around. 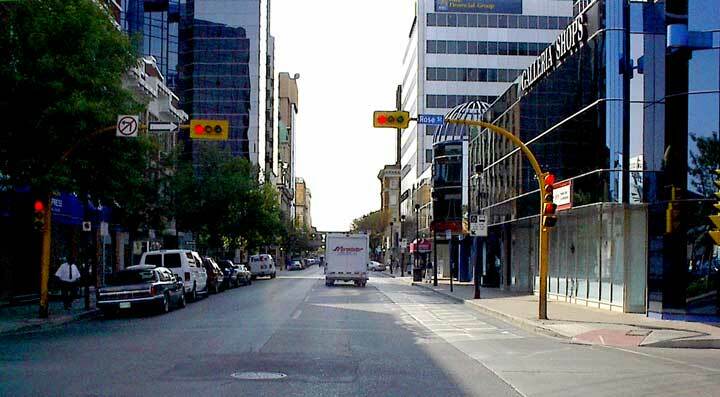 If you haven't been to Regina lately you will discover it has moved. 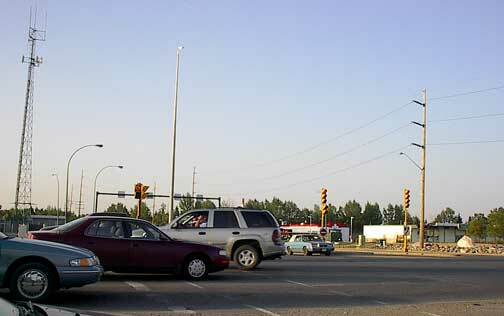 It is a suburban community now with commuters coming in to work or shop filling its roadways several times a day. A massive relocation of commercial retail outlets has seen sprawl taking place from the Eastern outskirts of the city all the way to the old CKCK Tv building which was two miles from the city when it was built in 1956. This motorist with his phone to his head as he turns through and intersection and the cell phone tower looming behind on the right of the picture is a significant part of what is Regina today. Wednesday morning a few minutes after 0600 we were on our way in from the "Burbs" as serious clouds filled the eastern horizon but where able only to deliver a drop or two of rain around mid day then the wind rose and the smoke from the former forests of British Columbia brought the horizon down to five miles on the following morning. 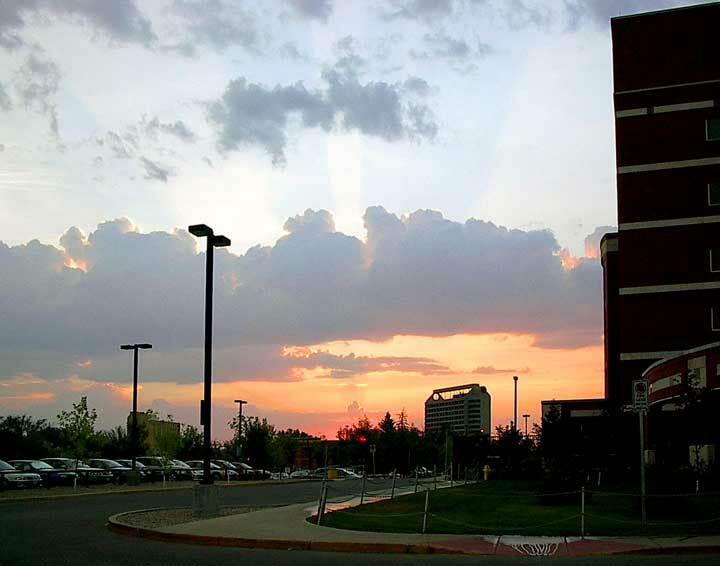 As the morning sun began its journey over Saskatchewan Wednesday the picture below shows it as it nudged above the city's modest skyline as we look from the parking lot of General Hospital. I recall standing on this very spot in my second year of college (1963) waiting to see a friend who was a student and lived in the dorm which is now this parking lot. Where I was standing would have been the lawn that stretched out in front of the residence separating it from the hospital. Regina folks will not have forgotten the corner of Broad and Eleventh Avenue for this parking lot was the location of one of Regina's two first class theatres. The Met was a great movie theatre just as the Capital was over on Scarth and 12th. Today a host of buildings squat on the downtown area of this little city. In the left foreground is the Drake which my Grandmother considered a second home and is now just another old hotel in a large chain's holdings. We are looking down Eleventh Avenue from the Hamilton Street lights, Kresgies was on the left then Simpsons and the next intersection was the domain of City policeman "whistling Willy" who shepherded pedestrians across the city's busiest intersection for all of his career. One day this week I heard a lady on radio lamenting the lack of history in Canada and how some post office she had visited in Ireland you could put your fingers in bullet holes made in 1916. Across the street at this point on the North side of Eleventh in the old Bank of Canada building their are bullet holes made by the R.C.M.P. as they fired at the protesters during the On to Ottawa Trek in the "so-called" Regina Riot which was in fact a police riot where the city police and the R.C.M.P. attacked the unemployed men. The city policeman who was shot was in fact shot by one of his own men. A Regina youth (at the time) told me of the terror of he and others charging down the alley nearby to escape being shot or run over by the mounted policemen. It was a scene not unlike what was depicted in the movie Doctor Zhivago when the Czars troops attacked marchers. You will notice that this and the Estevan riot which was also a police executed act of violence is rarely referred to or mentioned to this day as these dark days of military and police attacks on civilians are not something Canadians are proud of. 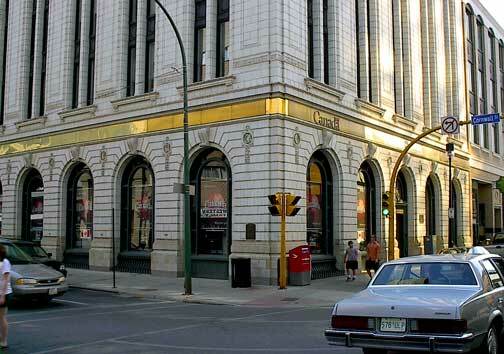 The golden glow on this building is from the reflection of the gold coated glass of the SaskTel building close by. Once upon a time banks in Canada had names, not letters as they do now. 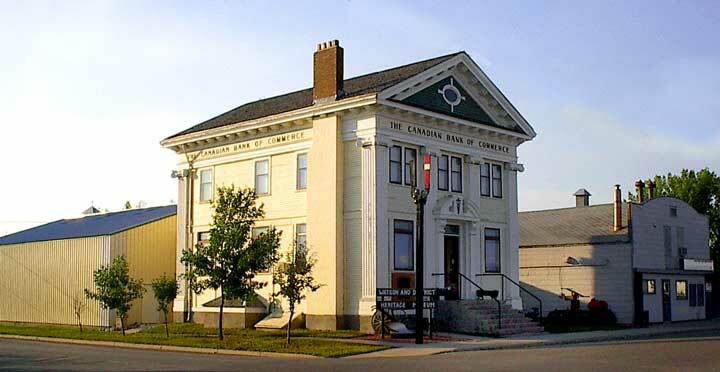 In Watson (above) the stately Canadian Imperial Bank of Commerce has been turned into a museum. 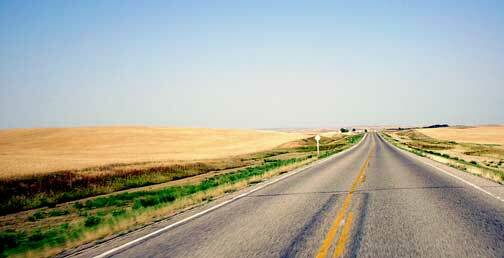 With most of its people now living in cities or associated urban communities it is easy for them to forget and to ignore that the bottom line for Saskatchewan is a straight line of wheat fields from one side of the province to the other. Urban commerce and the insignificant urban industrial portion of Saskatchewan's economy are not what keeps Saskatchewan operational. The province depends on agriculture, mining, petroleum and forestry which is a bit ironic, but explains why voters in the cities and voters in the country vote for entirely different political parties. It is also ironic and definitely depressing to consider that in the most peaceful and positive part of Canada crime in the country is not a factor in anyone everyday life whereas the province's two major cities with each having half their population as unemployed, often desperate people the crime rates are the highest in the whole of Canada.